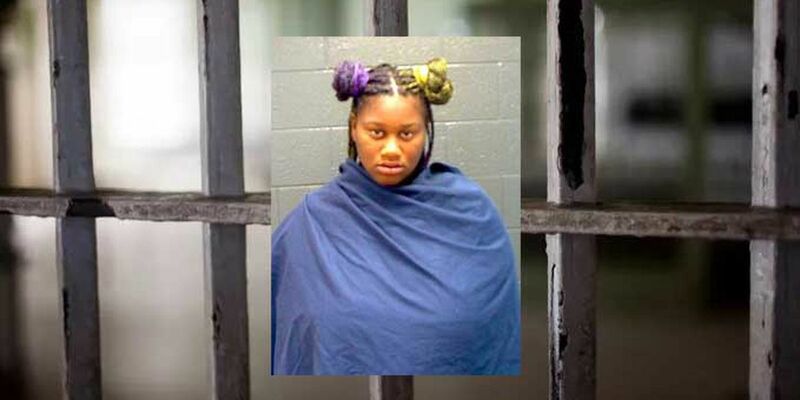 Zayryimonnia Hardeman, 21, is accused of trying to escape officers while having several children unrestrained in her vehicle. WICHITA FALLS, TX (TNN) - The Wichita Falls Police Department arrested a woman Friday morning for endangering children after she was caught speeding and tried to evade officers. Police said Zayryimonnia Hardeman, 21, had five children in her vehicle. Just before 8 a.m. Friday, an officer working in the 2700 block of Holliday clocked Hardeman driving 46 mph in a 30 mph zone. According to police, the officer tried to pull Hardeman over but she kept on going. Officers said she swerved around several cars and ran through a stop sign at Jacksboro Highway. She then swerved aggressively into the left turn lane to turn onto Midwestern Parkway. Police were about to end the chase when Hardeman turned into the parking lot of a business and stopped. Police said Hardeman was uncooperative when they told her she was under arrest for evading. While they were arresting her, police found five children in the car, ranging from two-months-old to nine-years-old. Officers said none of the children were wearing seat belts. The infants that were in the car were in car seats, but the car seats were not secured. Hardeman was arrested and charged with Evading Arrest and five counts of Endangering a Child. As of Monday morning, she was no longer in the Wichita County Jail.